It’s common knowledge that your new Honda needs routine service, and a Honda oil change, tire rotation, or brake service can be affordable. We regularly have Honda maintenance coupons, including oil change coupons, so Arlington drivers can save on the necessary work that keeps their car running in top shape. Your tires are your only contact with the road. Make sure they are safe. We will check your alignment, free of charge. 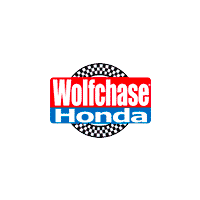 Whether your vehicle needs tire alignments, brake service, or major repairs, you can place your confidence in the experienced technicians at the Wolfchase Honda service department. After you’ve taken the time to browse our Honda maintenance coupons online, schedule service today and make your way from Memphis to Wolfchase Honda!